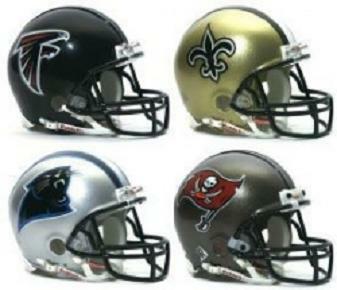 Today we look at the NFC South. After losing Dunta Robinson and Brent Grimes, the Falcons biggest need was at corner and they addressed the position in the first two rounds. Desmond Trufant will be the third of the Trufant brothers to play corner in the NFL. He is a shutdown corner that is very good in press coverage. Trufant has excellent footwork and anticipation. He will be given a chance to start opposite Asante Samuel. Robert Alford is a player that was flying under the radar until the Senior Bowl. He had a good Senior Bowl week and catapulted himself into the 2nd round. Alford is physical, mirrors the receiver well and fights for the ball. He will likely be either the nickel or dime corner. Malliciah Goodman is a powerful defensive end with long arms. He will be a good fit for a left defensive end and will start out backing up Kroy Biermann. After Tony Gonzalez almost retired, the Falcons needed to find a young tight end. Toilolo has great size (6’ 6”, 260 lbs.) but he underachieved at Stanford. With Gonzalez and Chase Coffman already on the roster, he may be able to come along at his own pace. Stansly Maponga has been an all conference player for the last two years, first in the Mountain West, then in the Big 12. In 2011, he had 9 sacks (#2 in the MWC) and 13.5 tackles for loss (#4 in the MWC). His numbers slipped a bit in 2012 due to a toe injury which forced him to miss two games. Maponga will start off backing up Osi Umenyiora and second year player Jonathan Massaquoi. In the 7th round, the Falcons drafted a couple of safeties, the first of which was Kemal Ishmael. He was a 4 year starter at free safety for Central Florida. Ishmael is a versatile safety that brings the wood. Zeke Motta is more comfortable in the box and he is also a big hitter. Both players will have a hard time making the 53 man roster. Sean Renfree was a three year starter at Duke. He has a good arm, a smooth release and can make all the throws. Renfree is a smart player with good footwork and anticipation. He has a good chance to become the backup to Matt Ryan. The Panther’s had a big need for defensive tackles and they addressed the position with the first two picks. Star Lotulelei is a massive defensive tackle that is great against the run. He is extremely strong and can fight off double teams. Lotulelei will be given a chance to start at nose tackle and should make the Panther’s run defense a lot tougher. Kawann Short is a powerful, athletic defensive tackle that was dominant at times, but he struggled with consistency. He will begin his career in a rotation which should keep him fresh and allow him to give it all for just a few plays. If he gets it, he could be a Pro Bowl caliber player. Edmund Kugbila is a small school player that is a 3 year starter. He is a mobile player that does well in a power blocking scheme. Kugbila struggles a little bit in pass protection, but he should be allowed some time to develop. I liked A.J. Klein’s career at Iowa State. He is a versatile player that can play inside or outside and he does a good job finding the ball. Klein does a good job filling holes against the run and he is active in pass defense. He will start off as the strong side backer and will back up Thomas Davis. I can also see him being a very good special team’s player. Kenjon Barner is an explosive running back. He isn’t very big, but he is tough for his size. Barner ran a 4.52 40 at the NFL Combine, but he plays a lot faster than that. He has very quick feet, has very good burst through the hole and makes cuts at full speed. If he can bulk up a little and improve his pass protection skills, he could be a very good 3rd down back. The Saint’s defense was an epic fail in 2012. They need all the help they can get defensively and although they didn’t have many draft picks, most of them were spent on the defensive side of the ball. Being a Longhorns fan I saw every game that Kenny Vaccaro played and I don’t like him as much as most people. I saw way too many missed tackles from taking bad angles and not wrapping up the ball carrier. In fact I think Joseph Randle just juked him again and scored. It looks like the Saints will play him as a strong safety which is good. You don’t want Vaccaro as the last line of defense whether it be in run defense or pass defense. That being said, he will be given every chance to start and should improve the Saints defense. Terron Armstead created a huge buzz during the NFL Combine. The 6’ 5” 306 lb. offensive tackle made a few jaws drop when he ran a 4.71 40 yard yard dash. He also had a 34.5” vertical jump and 9’ 4” broad jump. After losing Jermon Bushrod in free agency, the Saints needed a left tackle. Armstead is really raw, having played at Arkansas-Pine Bluff, but he has the potential to be a big-time NFL tackle. He likely won’t start right away unless Charles Brown is unable to handle the left tackle position. John Jenkins is a massive nose tackle that weighs in over 350 lbs. He controls the middle of the field, can split double teams and is hard to move. With the Saints moving to a 3-4 defense, he will have a good chance to start, but the Saints will need someone to rotate with him to get the best out of him. He tends to get tired if you leave him on the field for too many plays. Kenny Stills has a lot of talent, but has red flags when it comes to character. Stills tends to let his emotions get the best of him and at times hurts his team with silly penalties. If Sean Payton and Drew Brees can work with him at controlling his temper, they will have a talented wide receiver. Rufus Johnson is a small school player that was a relative unknown in the draft process. He played defensive end, but will be asked to convert to outside linebacker. He will likely be a candidate for the practice squad to develop him. The Bucs biggest need going into the draft was at corner. They addressed it before the draft by trading their 2013 #1 pick and a conditional 2014 pick for Darrelle Revis. Revis is recovering from an ACL injury, but if he can make it back to his old self, he will be a huge pickup for the Bucs. In the 2nd round, they went for another corner, Johnthan Banks. Banks was believed to be one of the top corners in the country, but then he ran a 4.61 40 yard dash at the NFL Combine. He was able to get his speed under the 4.6 mark at his pro day, but that is still not very good for a corner. Banks does however do a good job in press coverage, and may have the quickness to defend the slot. He has also played safety, so in a pinch, he could fill in there. Mike Glennon has a cannon for an arm. He probably had the strongest arm in the draft. As with all the quarterbacks in this class, what he lacked is consistency. Glennon will wow you by threading the needle on one play, then bounce the ball 5 yards in front of an open receiver on the next play. There has been some talk that he may push Josh Freeman for the starting position this year, but I don’t see it. I think Glennon will need at least a year or two of coaching before he is ready to compete for a starting job. Akeem Spence was a 4-year starter at defensive tackle for Illinois. He has good pass rush skills, but was inconsistent and had a reputation for taking plays off. Spence should start out backing up starters Gerald McCoy and Gary Gibson. William Gholston was dominant at times, but then would disappear. He played better his sophomore season than he did in 2012. Gholston has a freakish combination of size, speed and quickness, but he needs to become more consistent. He has several players ahead of him on the depth chart, so he is going to need to bring his A game into camp. Steven Means is a versatile, athletic player that will be used as an edge rusher. He also has some ability in blocking kicks. Mike James is a big, tough inside runner that runs with determination. He is tough and has good hands. Now that LeGarrette Blount has moved on, James will have a good chance at backing up Doug Martin. He is the type of back that coach Greg Schiano will like. This entry was posted on June 7, 2013 by draftmaniacs in Draft Analysis and tagged 2013 NFL Draft, 2013 NFLDraft, Atlanta Falcons, Carolina Panthers, Desmond Trufant, John Jenkins, Johnthan Banks, Kawann Short, Kenny Vaccaro, Mike Glennon, New Orleans Saints, NFC South, NFL, NFL Draft, Star Lotulelei, Tampa Bay Bucs, Terron Armstead.